Nice home in the Pojoaque Valley. Good core structure, needs some TLC. 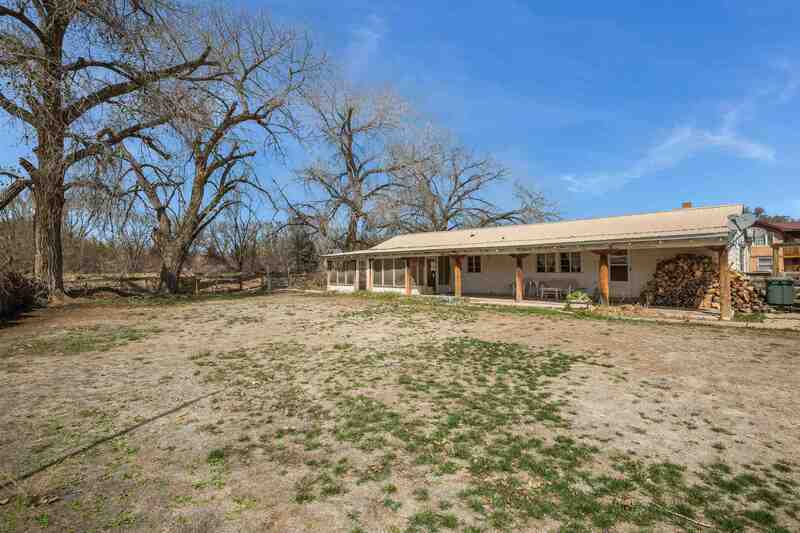 Great location, only 15 minutes from Los Alamos and 15 minutes to Santa Fe. Close to main road. 3 Bedroom, 2 bath home, with newer storage unit. Surrounded by large cottonwood trees. Tile and vinyl floors throughout home. Nice fireplace with insert for economic wood burning. Southwest style kitchen cabinets. Pitched propanal roof. Shingled exterior that needs some new paint. Back room needs some work done on ceiling. This is a home that needs some work. Directions To Property: From Santa Fe, Turn In Pojoaque Headed Towards Los Alamos. Make A Right A Few Miles Down On Christmas Lane. Travel Down All The Way, A Dead End, And House Will Be On The Left.